Set Speed – Cruise: 0.3 [m/s]. Safe Distance: -200.0 [m] and Relative (Positive down). Limit rate: limited rotation speed of 0.6 [rad/s]. 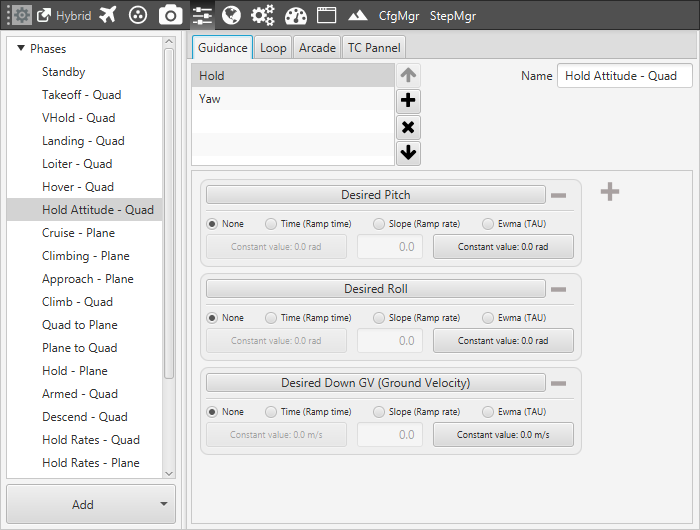 Hover phase is configured to allow the multicopter maintain the position in the air. Safe Distance: set at 0 [m] and Relative. Yaw guidance is the same of the Take Off phase. 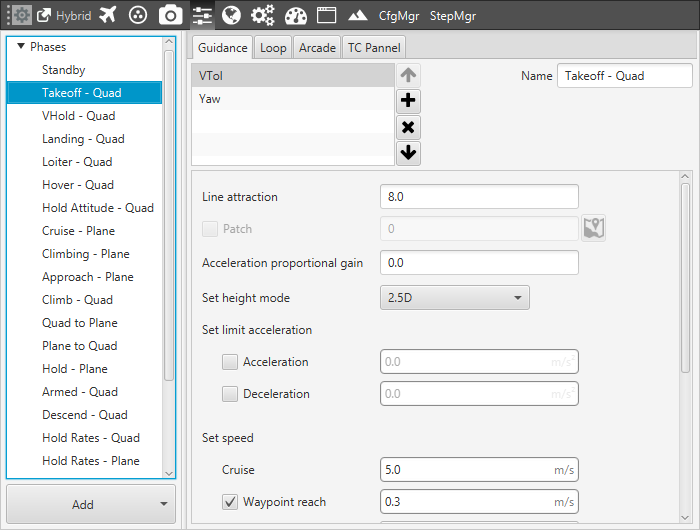 This phase has the same settings of the Take-off with some changes. Set Speed – Cruise: 3 [m/s]. Hover gains: as in the Take-off phase. Safe Distance: -100.0 [m] and Absolute. In this case, we are supposing that at the instant when the Landing phase starts, the hybrid is flying at AGL > -100m (it means all positive values). 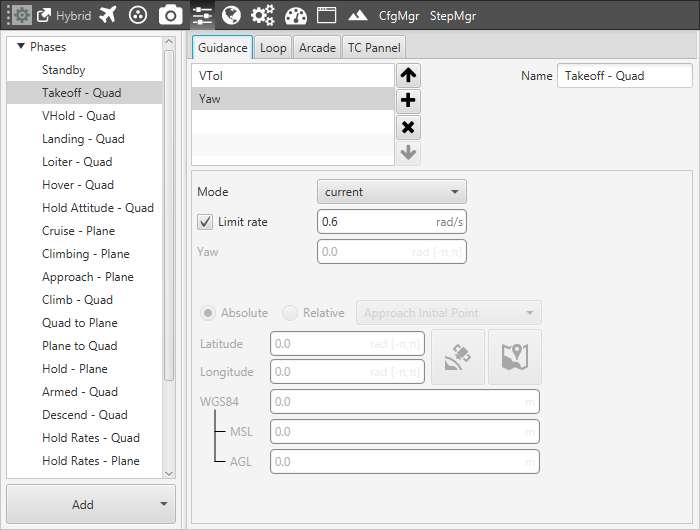 Yaw Guidance is configured in order to let the quadcopter with the Current yaw angle and limiting the yaw rate at 0.6 [rad/s]. 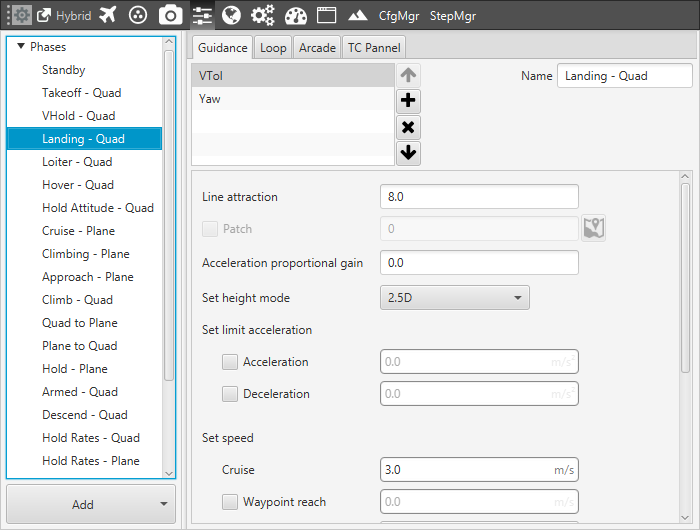 When the Plane to Quad transition is complete, the platform will stay into a Hover phase until the user changes its phase. 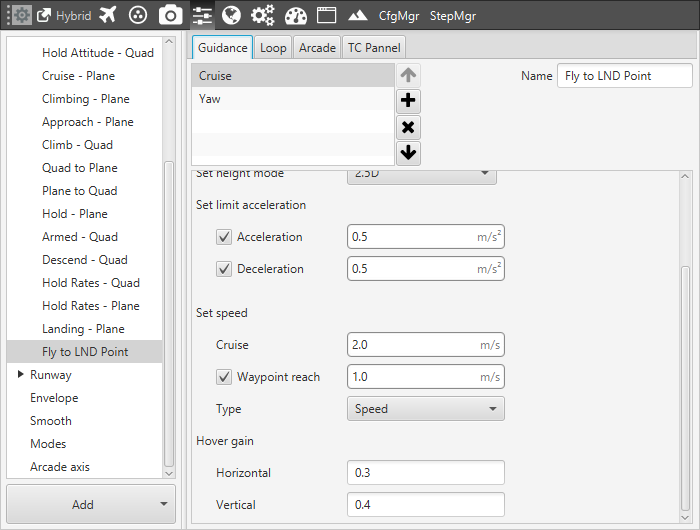 The successive flight phase will be a Go Home phase which allows the Hybrid to reach the landing point in a Quadcopter flight mode. Hover gains: as in Hover phase. 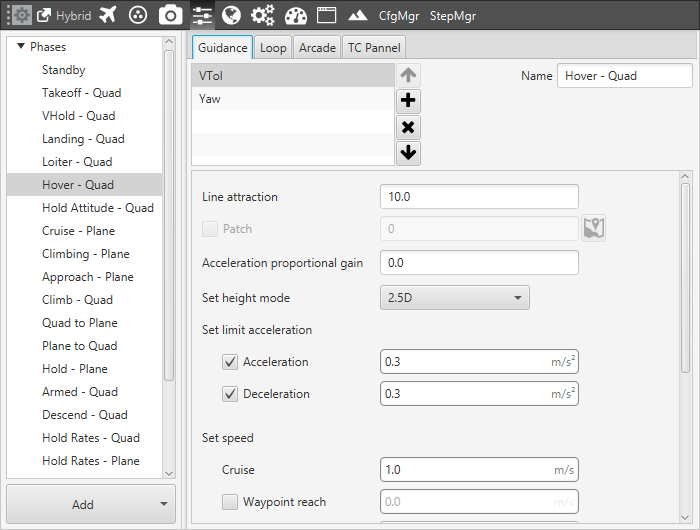 Hold phase is used to perform a Stick controlled flight. The phase guidance is composed by Hold and Yaw guidances. In this way, if the stick control is not active, the quadcopter will keep its position in the air. Yaw Guidance is set on Current. 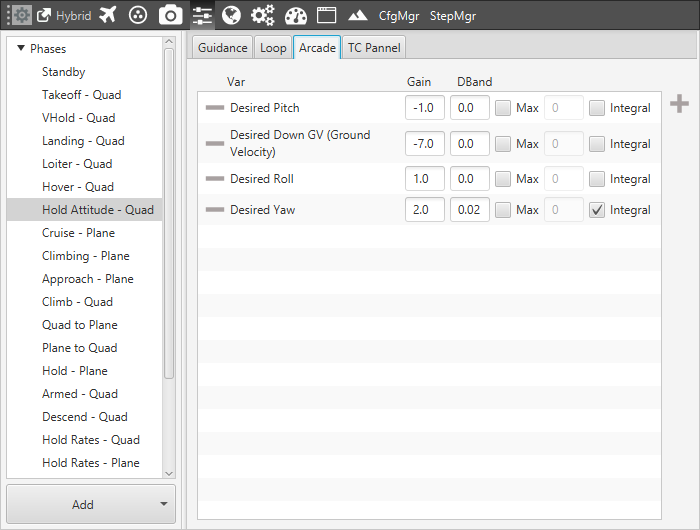 In this phase, the Arcade allows controlling the platform depending on the set gains.